This is a wonderful wine from one of McLaren Vale's very best wineries. Rated as "superb" by Robert Parker no less. 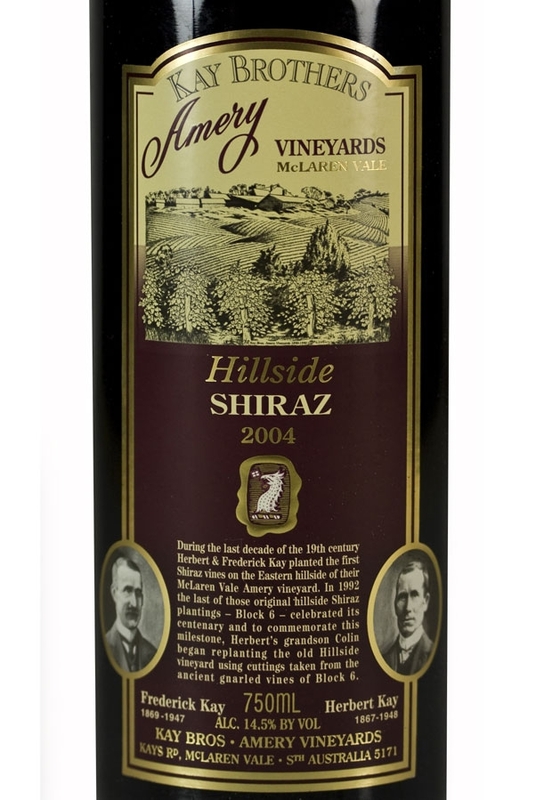 The Hillside Shiraz, 2004, is a fantastic, affordable Shiraz from one of Australia's oldest and finest wineries founded in 1890. This wine is matured in both new and old American oak for 28 months. 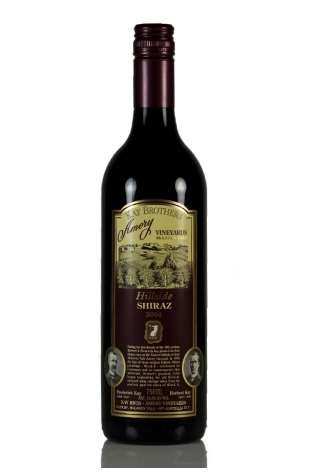 The Hillside Shiraz range from Kay Brothers has received much praise and this vintage does not disappoint. 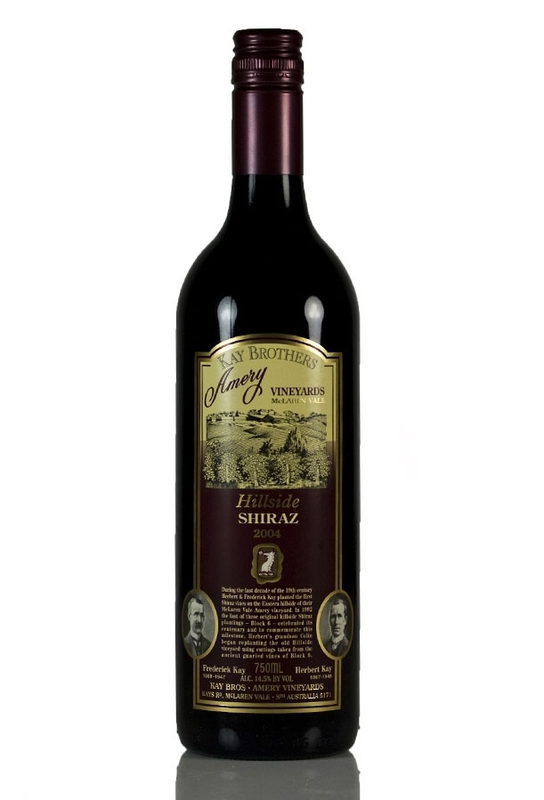 It is produced from much younger versions of the identical Shiraz clone used for the Kay Brothers Block 6 Shiraz. "A blockbuster effort, it reveals deep, chocolaty, meaty notes intermixed with blackberries, cherries, and cassis. Inky/ruby/purple-colored, with a large mouthfeel, full body, and well-integrated acidity, tannin, and alcohol, this is a superb McLaren Vale Shiraz"